Visit NYSDEC’s LINAP webpage for more information about LINAP, past newsletters, documents, and more. Suffolk County Executive Steve Bellone signed into law a program that will help homeowners replace their outdated septic systems or cesspools at an affordable rate with advanced wastewater technologies designed to significantly reduce nitrogen pollution. Under the Reclaim Our Water Septic Improvement Program, homeowners who decide to replace their cesspool or septic system with the new technologies will be eligible for a grant of up to $11,000 — inclusive of installing a pressurized shallow drain field — to offset the cost of one of the new systems. In addition to the grant, homeowners can qualify to finance the remaining cost of the systems over 15 years at a low 3% fixed interest rate. The loan program will be administered by Community Development Corporation of Long Island Funding Corp, with financial support from Bridgehampton National Bank in the amount $1 million, and financial commitments from several philanthropic foundations. The program is scheduled to launch July 2017 through an application process. Contact septicdemo@suffolkcountyny.gov with questions. A new LINAP Technical Resources webpage has been posted on DEC’s website. The page includes links to reports and other documents that may be useful to LINAP stakeholders and partners. More links and documents will be added as they become available. 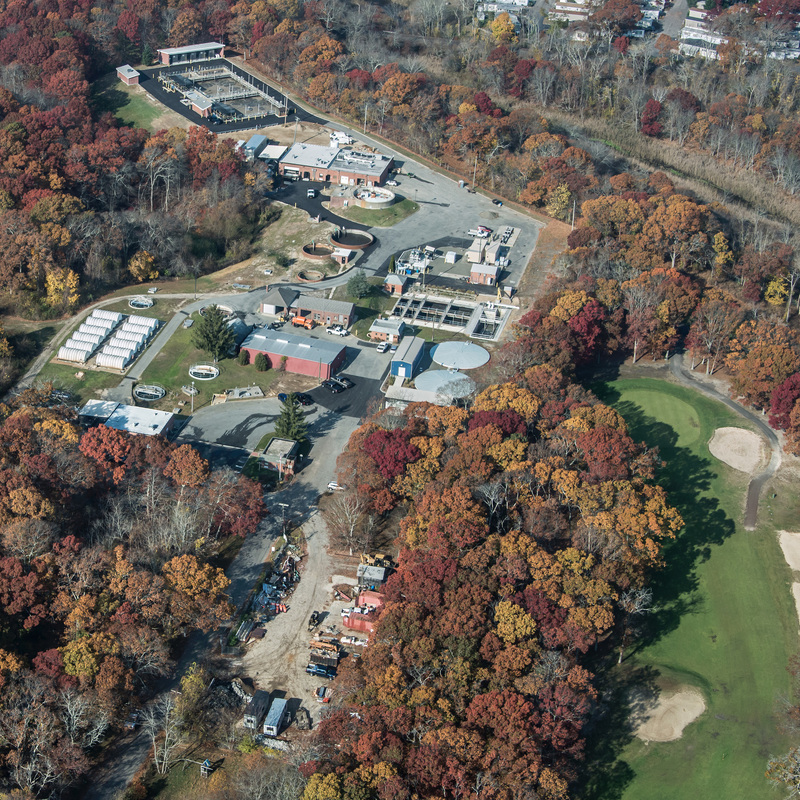 The Town of Riverhead Water Resource Recovery Facility (WRRF), a $23.5 million water reuse facility funded by the NYS Department of Environmental Conservation, Suffolk County and the NYS Environmental Facilities Corporation, is designed to treat 1,500,000 gallons of wastewater generated by the Riverhead Sewer District, Suffolk County Correctional Facility and the Suffolk County court complex to the technological limit of 3 milligrams of nitrogen per liter. The facility is equipped with membrane biological reactors, ultrafiltration for solids/liquid separation and ultraviolet disinfection. It is designed to remove 95% of the nitrogen in the raw sewage. The WRRF provides up to 450,000 gallons per day of reusable water to irrigate the adjacent Indian Island Golf Course. This equates to 100 million gallons of water that is no longer drawn from the ground and provides all the irrigation needed throughout a typical summer season. Additionally, the WRRF will reuse up to 100,000 gallons per day (or 36 million gallons annually) of treated effluent as in-plant wash water and makeup water, which was typically purchased from potable water suppliers or drawn from on-site ground water wells. Substituting reclaimed water for potable water protects the surface water of the Peconic Estuary ecosystem by diverting approximately 1.4 tons per year of nitrogen. Reuse water containing small levels of nitrogen applied to the golf course helps to reduce the amount of fertilizer used, thereby reducing the nitrogen load contributed by surface water runoff.